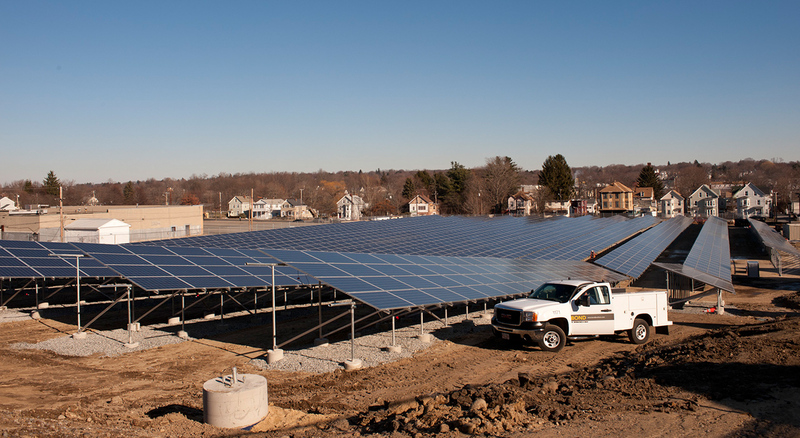 As part of a larger effort to increase solar energy generation in New England, National Grid sought to transform the former brownfield site of a manufactured gas plant (MGP) in Haverhill, Massachusetts into a one-megawatt solar array. 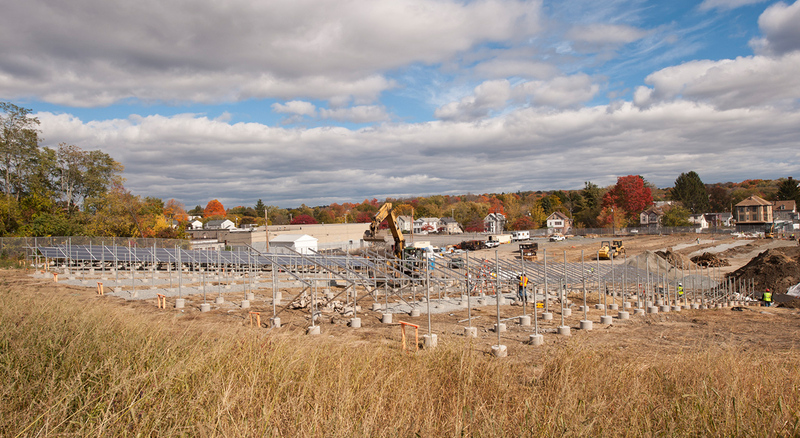 BOND was engaged to provide self-performed civil infrastructure, utility, and concrete work for this five-acre renewable energy project. 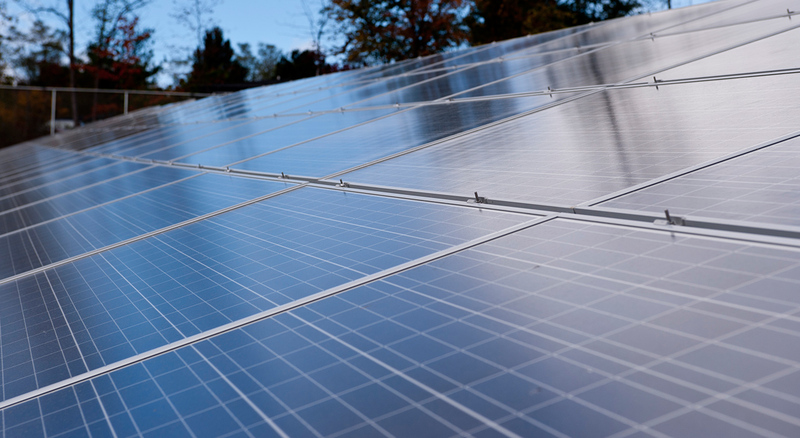 To facilitate the installation of 4,600 solar panels, our crews redistributed 5,000 cubic yards of material; placed 1,500 feet of underground ductbank; drilled 400 concrete piers; and placed 600 cast-in-place concrete ballast foundations. The effort also included equipment pad construction and site restoration services. 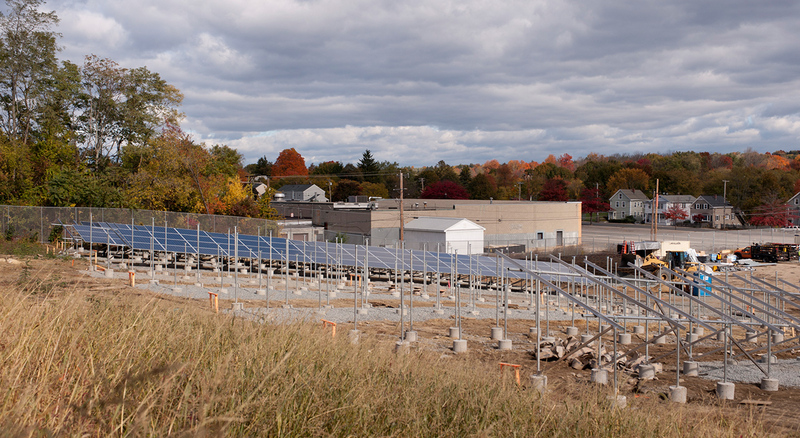 The completed array is connected to a partially-loaded 13 kV residential feeder that matches solar power with area homes.